Recently a team of 11 Bermuda swimmers traveled to Clermont, Florida to participate in a seven day overseas training camp. The camp was held at the NTC facility, allowing access to long course meter and short course yards training. Every morning was a 5:30am wake up call, breakfast and a 30 minute drive to the training facility. Each session started with a one mile run with the goal being to achieve faster times each day. Most days included 12,000 to 15,000 meters/yards of swimming with detail on stroke and fitness. The camp also included a rigorous land training routine that challenged the swimmers to their limits. On 3 of the days the facility provided lectures to the group, with topics including sports psychology, stretching and nutrition. At the conclusion of the camp all 11 swimmers are stronger mentally and physically and have grown together as a great group of friends. This camp focuses on top performance this season that hopefully provides winning results in local and overseas meets and hopefully University scholarships in the future. 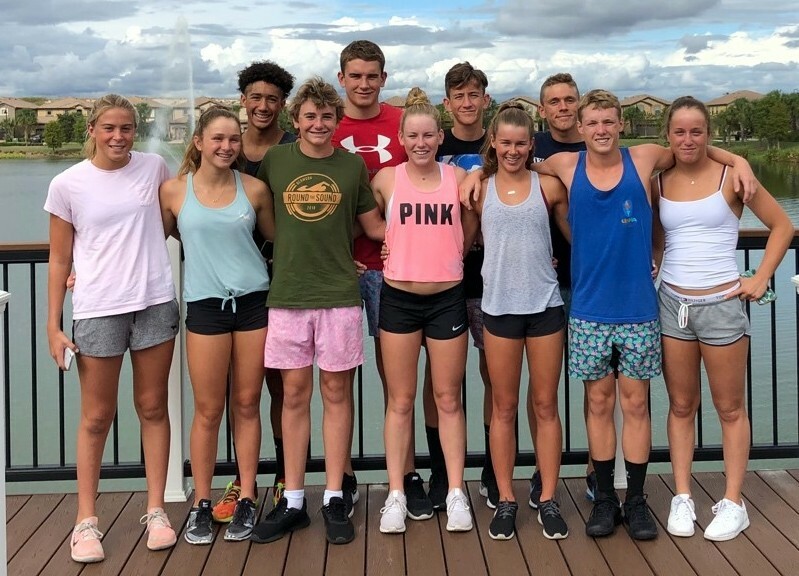 The Bermuda Swimmers included, Caleb Ingham, Keagan Woley, Joshua Thorne, Zebedee Wakely, Tayla Horan, Taylor White, Jack Harvey, Logan Watson-Brown, Skyler Powell, Brian Desmond and Gabriela Pitman.